This is about a condo corporation short of funds and how their newly elected condo board President succeeded in reducing their major expenditure – water. This 204 unit condo corporation – of which 170 suites were occupied – had a bank balance of $39, a fully used credit line of $1,600,000 and required another $100,000. They had waited too long to address their budget imbalance and a Special Assessment was deemed unacceptable. The new condo board president was forced to find ways to reduce costs. When looking at water costs he realized that, of $250 per month in condo fees, nearly $100 per month was required for water and sewer costs. 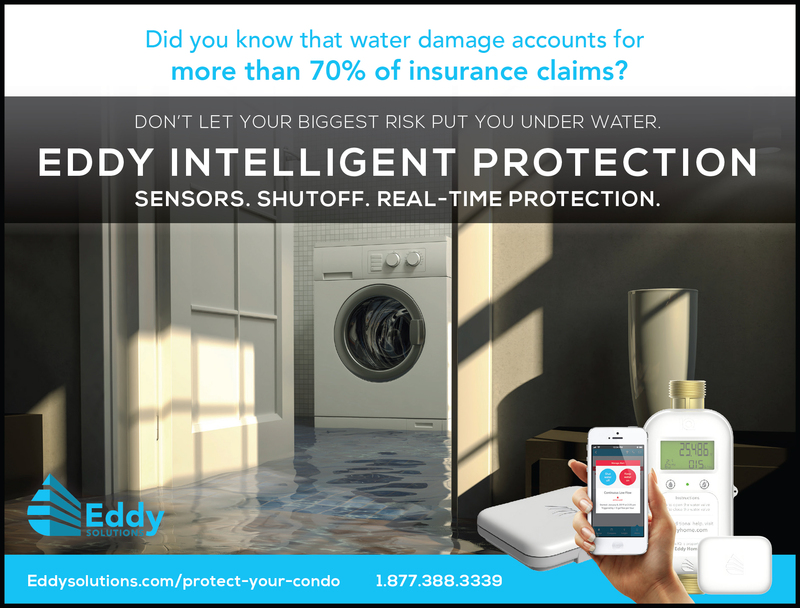 While an average person uses 1,500 gallons of water per month, their condo corporation average was 6,000 gallons per occupied suite per month. Something was wrong here. Assuming three people per suite on average, their target was to reduce water usage to 4,500 gallons per suite per month on average. Installing a water meter made them aware that water was going through the meter even when everyone was asleep through the night. The condo corporation installed low flow faucet aerators, low flow shower heads and water saving toilets. They replaced washer valves. Within 60 days, their water bill dropped from over 1,000,000 gallons per month to 700,000 gallons per month. This reduced water costs by $6,000 per month – a savings of $40/month per occupied suite. They surpassed their target of 4,500 gallons per suite per month on average and reached an average of 4,118 gallons per month. As time passed, savings from water use continued to increase as condo owners become more aware of water problems and reported even the smallest of water drips. For more information on reducing water and other utility costs, see the Condo Archives – Condo Building Management, subheadings Energy Efficiency and Infrastructure. For assistance identifying vendors who can assist with reducing water consumption, Condo Resource Guide can help. Look under Energy Services and Plumbing Services.